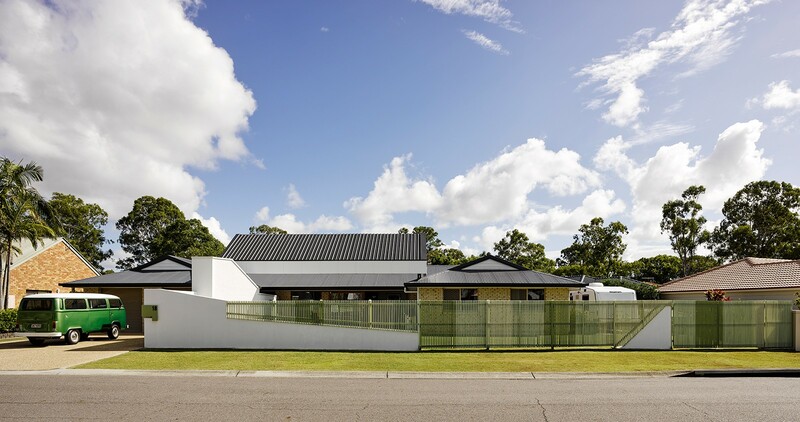 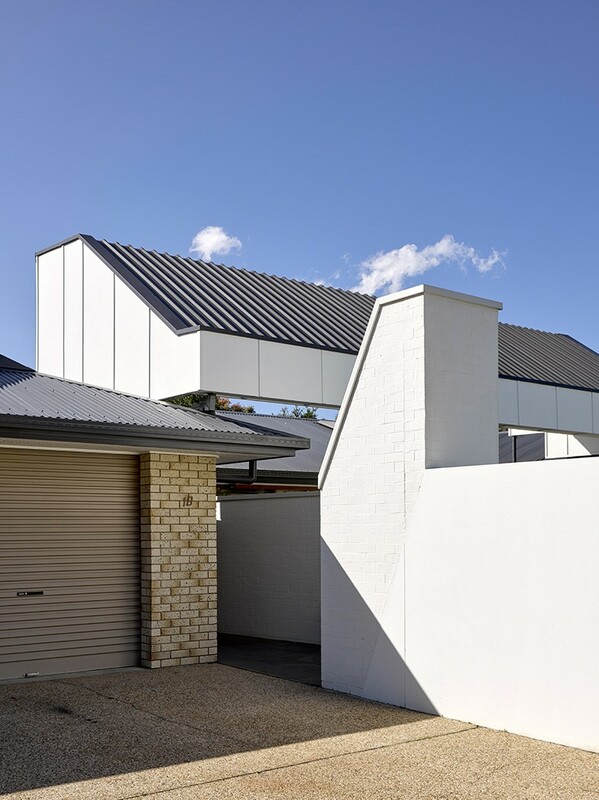 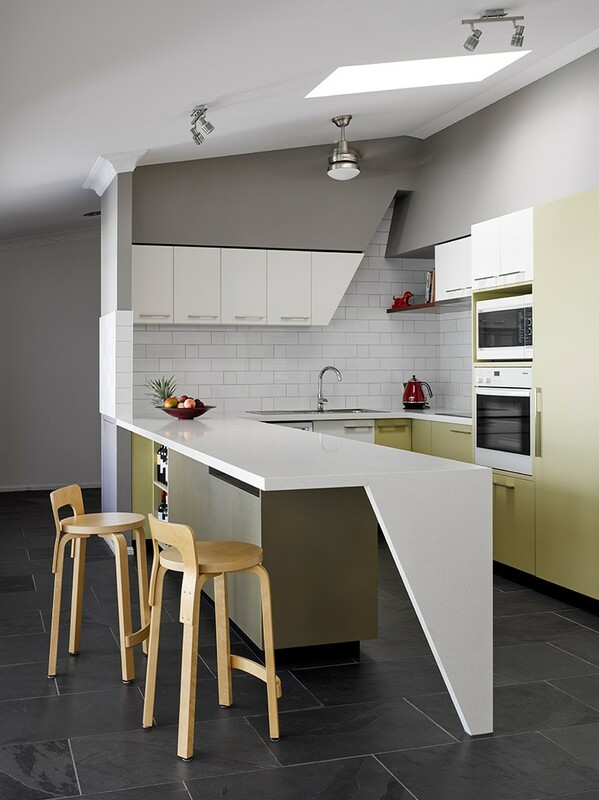 Located in a brick and tiled roof suburb this project challenged the stereotypical house and street frontage relationship. 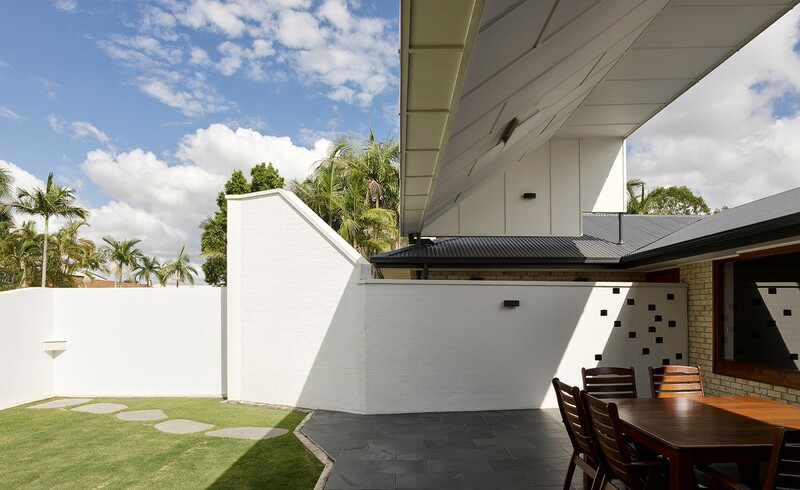 A new covered courtyard space opens the existing house to the street reclaims an underutilised front yard. 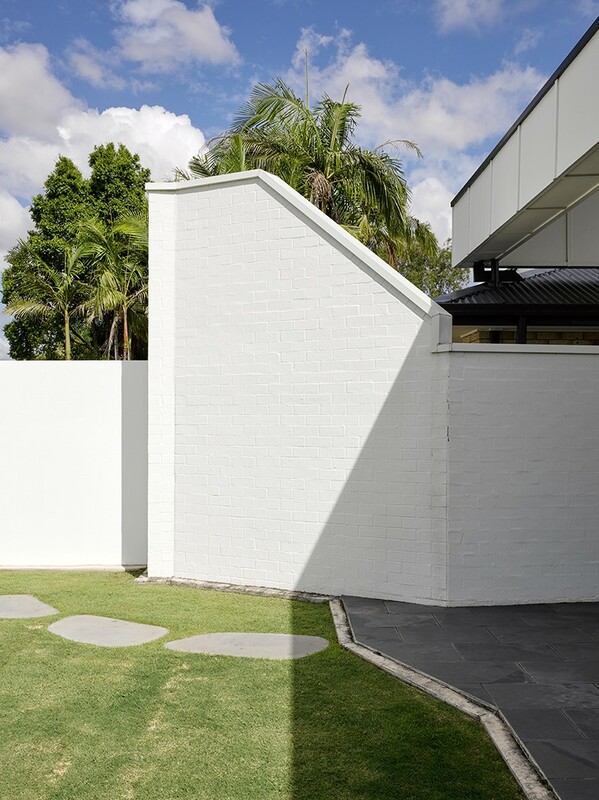 This strengthened its engagement with the street and in turn provided a more legible entry to the house. 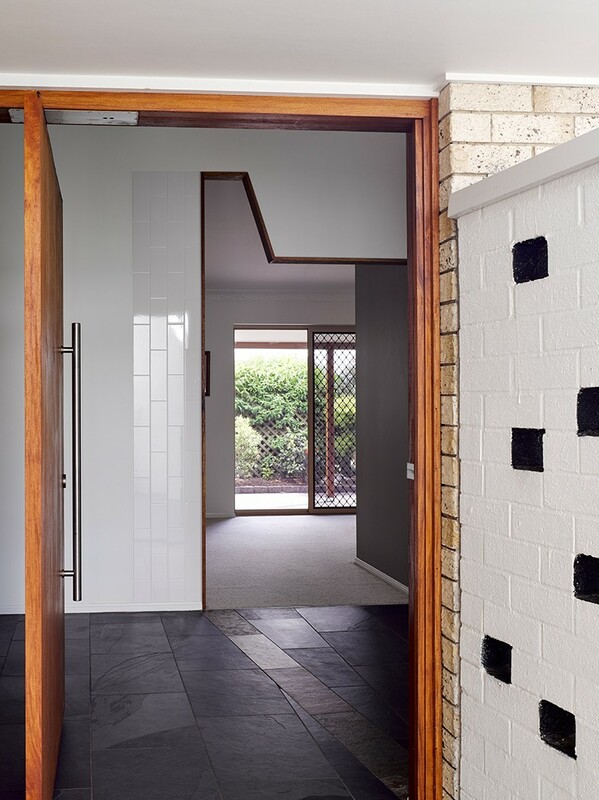 A new front wall adjacent to the entry runs perpendicular to the existing house and defines the entry and journey to the front door. 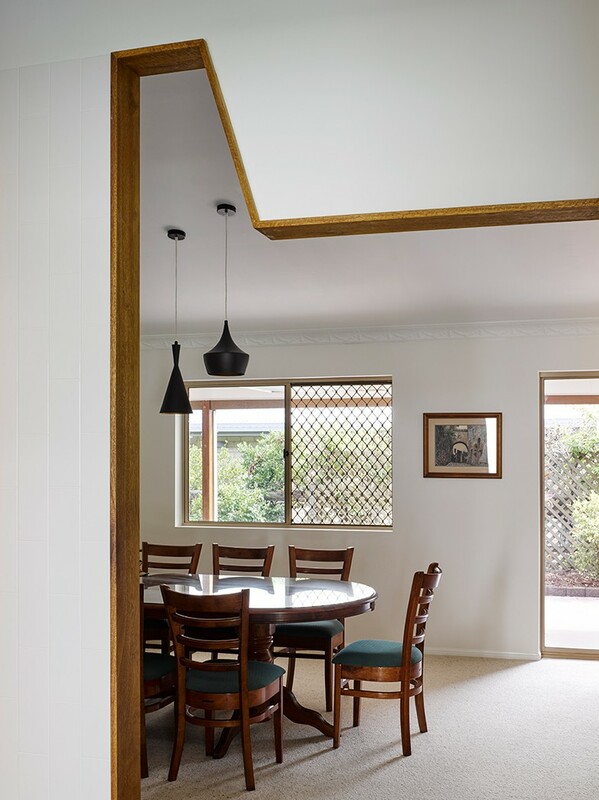 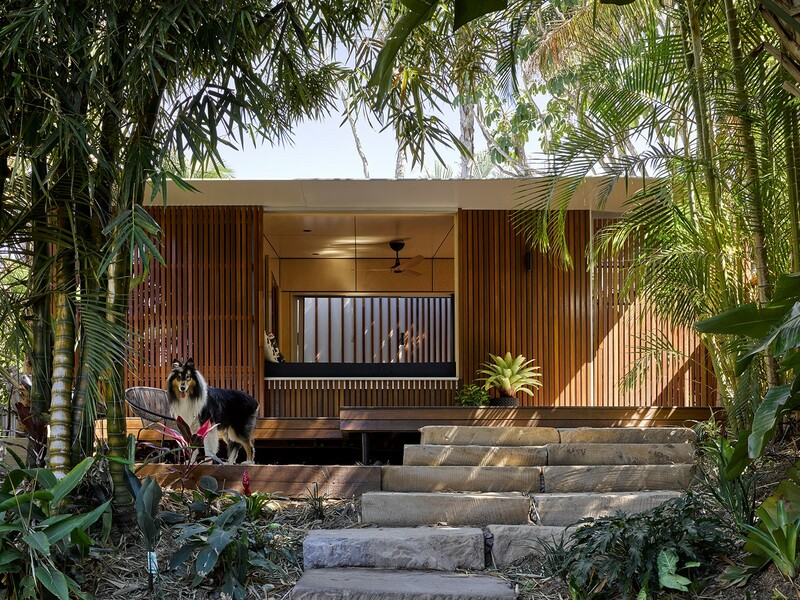 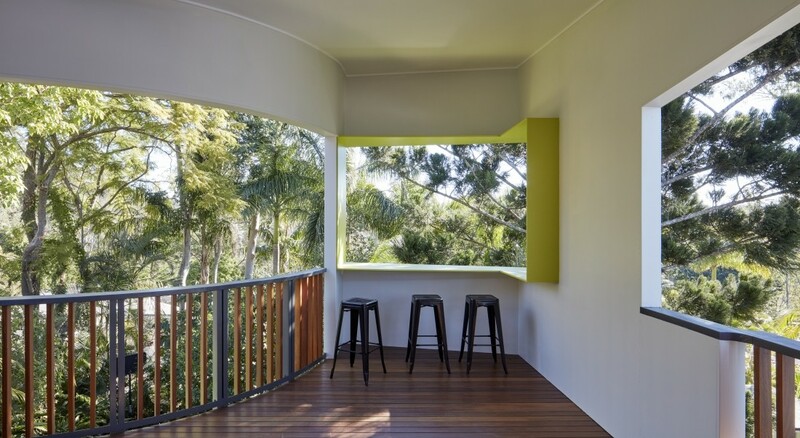 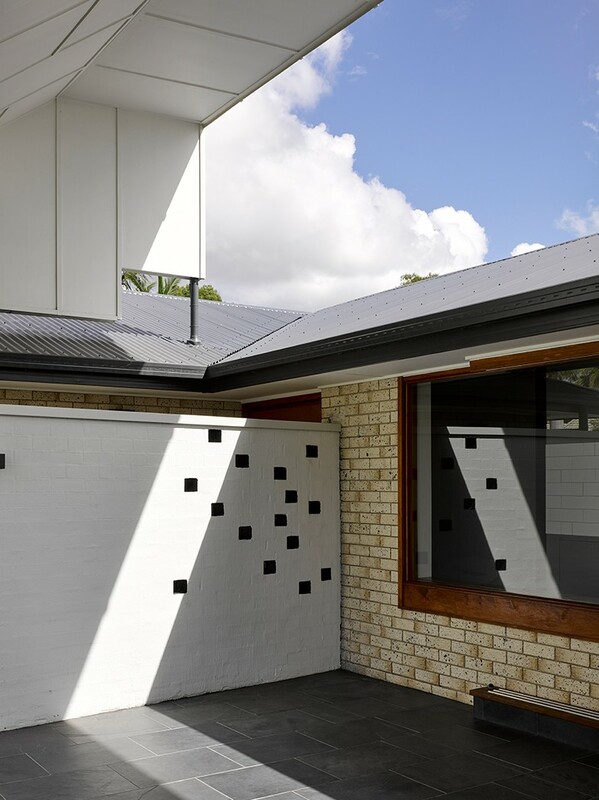 This wall then transitions to a timber batten veil to the front courtyard allowing a visual connection to the street yet maintaining privacy for the occupants. 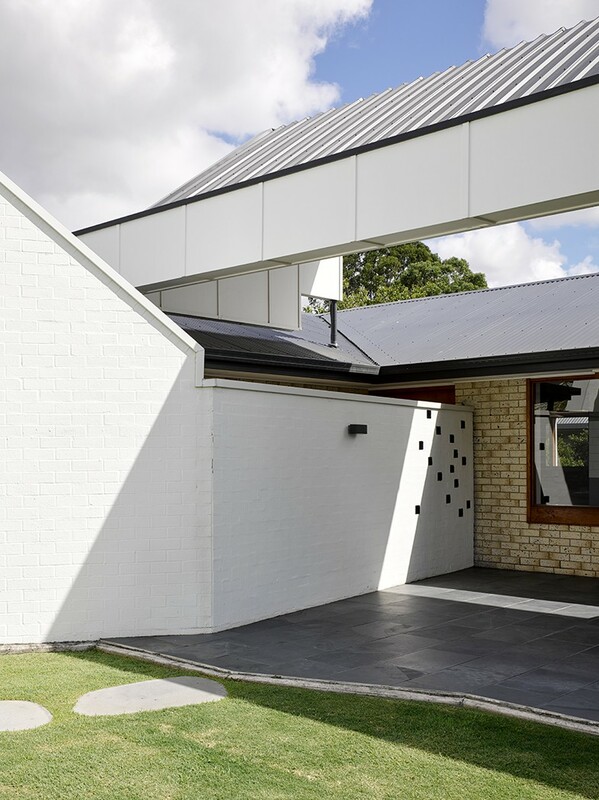 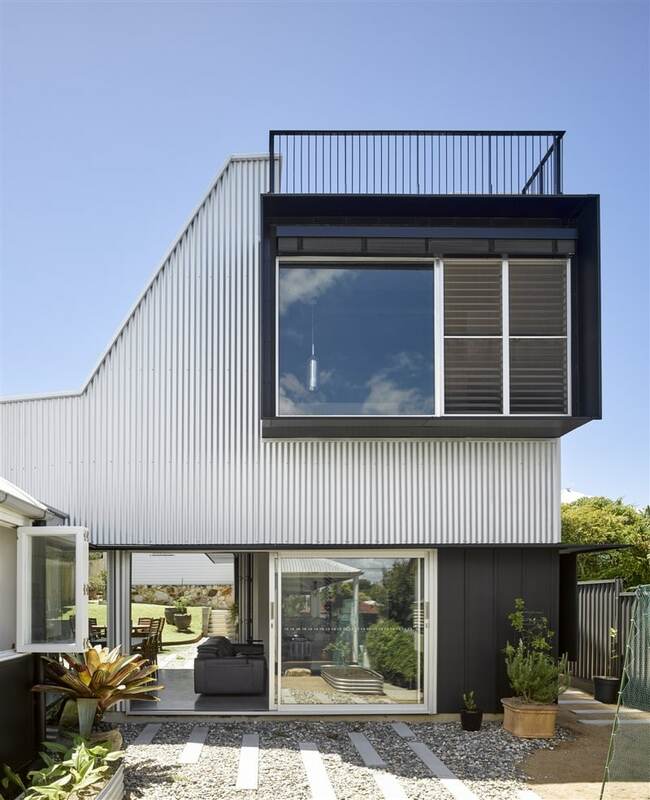 The roof floats over the rear wall and opens to the north which allows natural daylight and direct sunlight to penetrate in the winter yet provides shade in the summer. 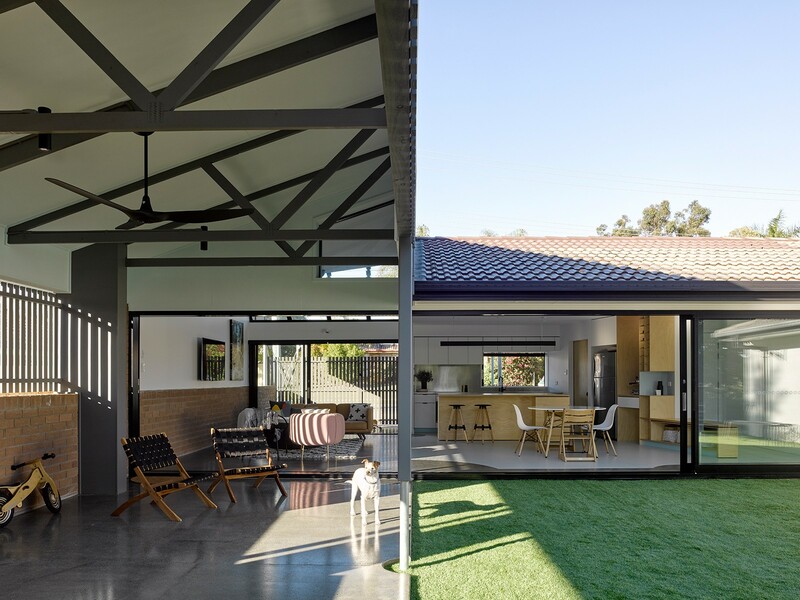 The dark slate floor was seen as an extension of the inside of the house and emphasised the indoor/outdoor living that was lacking in the existing house.